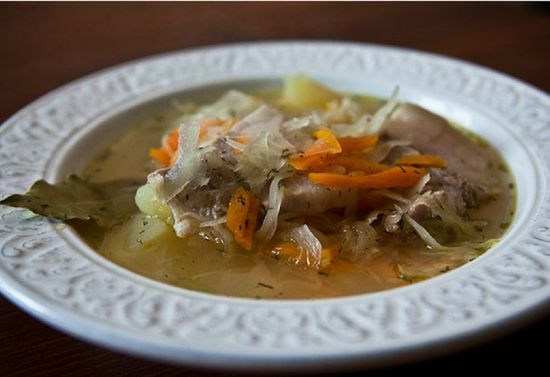 The classical recipe of Russian cabbage soup totals centuries-old history. Gradually it was improved and adjusted to new traditions. Presently already began to prepare sour Russian cabbage soup in the crock-pot in which the speed and speed of preparation of a favourite dish very much pleases. We suggest to prepare for you the recipe with beef and potatoes. This option the most traditional, after all initially Russian cabbage soup prepared on beef, and only occasionally with pork, chicken or fish. beef brisket – 700 gr. 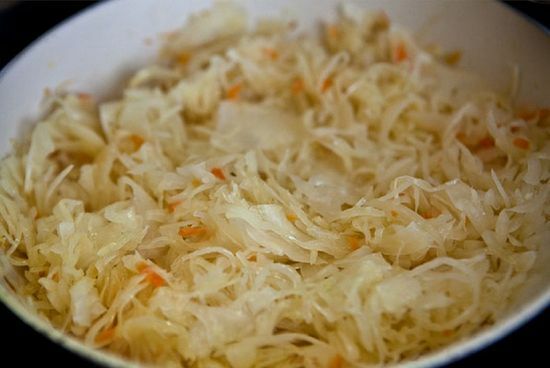 sauerkraut (sour) – 500 gr. potatoes (large) – 6-7 pieces. carrots (average) – 1 piece. Beef brisket needs to be washed out in water or to soak within 30 minutes. Then to lay out in a pan and to bring to boiling together with a small amount of water. To pour out water, and it is good to wash out meat. After that again to send beef to a pan, to fill in water and to cook on the slowest fire, constantly cleaning foam. 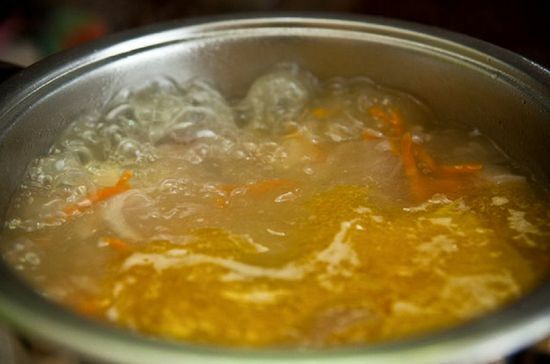 It is very important not to allow too rough boiling of meat, differently the fats which are in meat obmylivatsya in broth therefore it will turn out muddy and with unpleasant smack. To cook beef 60-80 minutes. To prepare cabbage. It needs to be wrung out from a brine or to wash out in cold water. 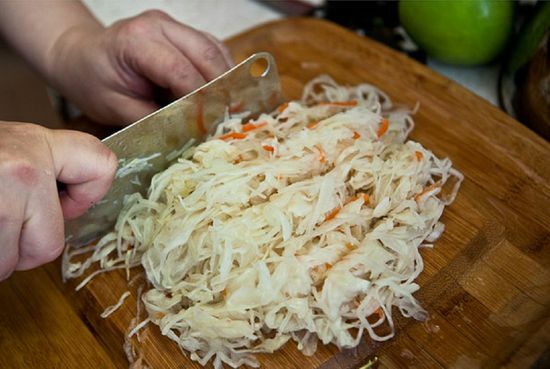 Small to cut and send cabbage to meat broth. 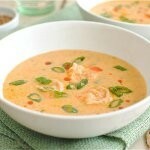 To allow cabbage to boil on slow fire of 10 minutes and to add potatoes peeled and cut with small cubes to a pan. 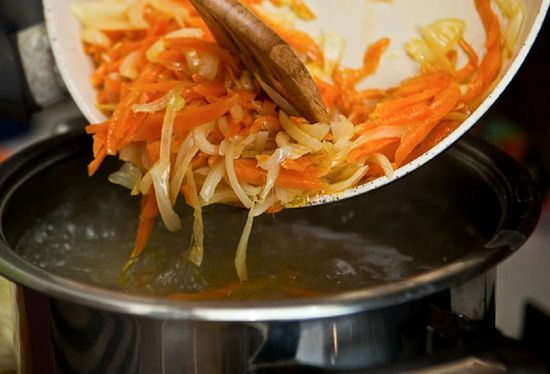 Then it is necessary to prepare carrot and onions pan-frying. 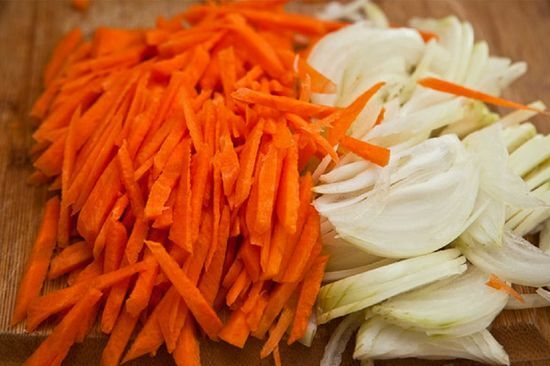 To fry the crushed carrots and onions in vegetable oil and to send to Russian cabbage soup. On a note! It is also possible to add to pan-frying a small amount of tomato juice or paste which will give to soup of beautiful color and will add acids. Having salted and having peppered, it is necessary to add bay leaf and favourite spices. 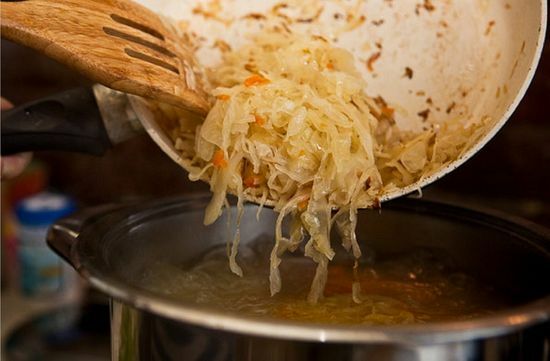 To remove ready Russian cabbage soup from fire and to allow to be drawn not less than 30 minutes. In ancient times in poor houses Russian cabbage soup was prepared on vegetable broth and somehow to diversify taste, added dried or fresh mushrooms. Presently with mushrooms usually prepare fast Russian cabbage soup from sauerkraut, but sometimes add mushrooms and to soup on meat with the purpose to add to a dish of unusual aroma and to give a certain highlight. Anyway mushrooms are perfectly combined with sourcrout, uniting in an amazing duet. pork or chicken – 300 gr. 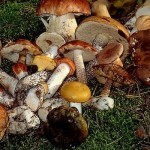 mushrooms dried – 50 gr. tomato paste – 1 tablespoon. laurel leaf – 1 piece. Preparation begins with broth. In our case it meat will also approach both pork, and chicken. It is possible to use beef or even a rabbit. It not essentially as from meat we need only a gain, and aroma I observe will give mushrooms. Therefore also meat we take a little. 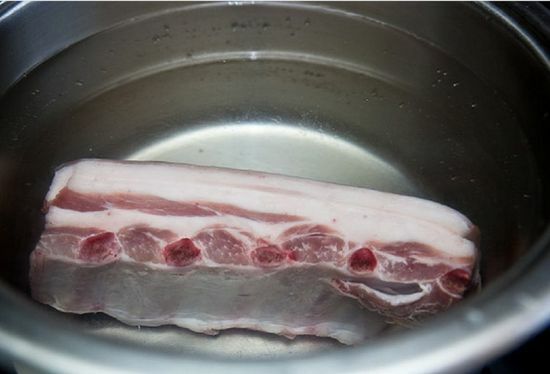 To wash out and fill in meat with warm water. 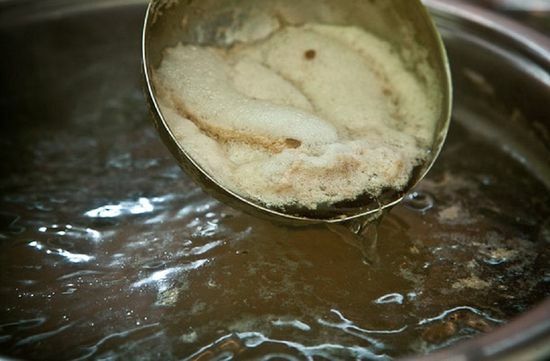 As soon as contents of a pan begin to boil, at once to reduce fire and to cook, removing foam, not less than 40 minutes. Important! The less broth will rage, the is more transparent and it is more tasty it will turn out. To send dried mushrooms to a pan and to cook about 10 minutes. To add potatoes cut by slices of the average size. To wring out sourcrout from a brine, to lay out in a deep frying pan with the warmed sunflower oil and to extinguish 15 minutes. 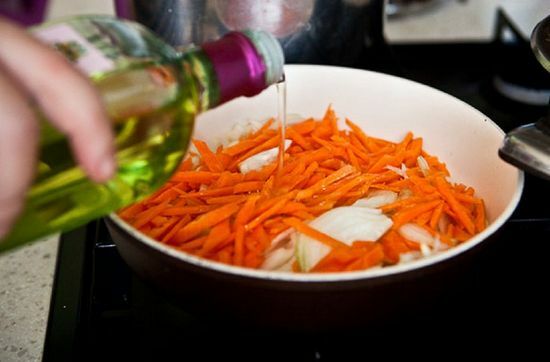 On other frying pan to fry onions and small polished carrots, to add a spoon of tomato paste, pepper, salt and bay leaf. To extinguish 5–7 minutes. To take out bay leaf, and to connect contents of a frying pan to a kapustochka and to send to a pan. Necessarily to add salt and pepper. To cook to readiness. Traditionally surely add a small amount of any grain or a flour that soup turned out rather dense to Russian cabbage soup. pork (it is desirable on a bone) – 500 gr. fermented sourcrout – 500 gr. carrots (large) – 1 piece. 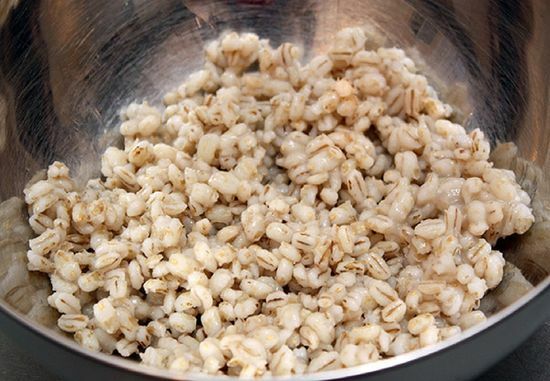 grain (pearl-barley, millet, rice) – 30 gr. 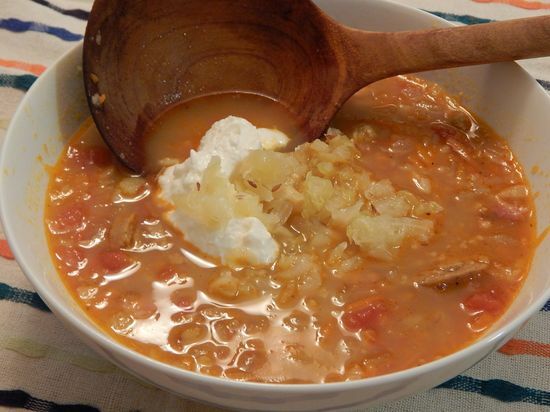 It is better to take pork fat, then Russian cabbage soup will turn out very rich and tasty. Ribs will be ideally suited. To boil meat for 60 minutes on slow fire, removing foam. To add sourcrout and to boil thoroughly 15 minutes. 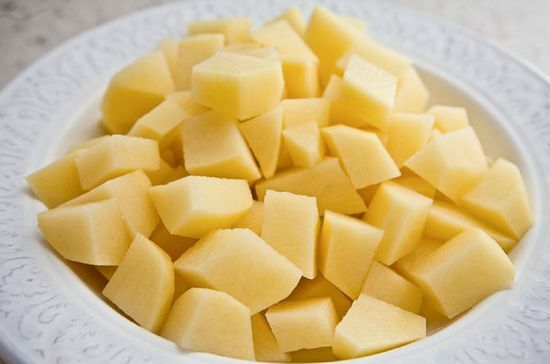 To peel potatoes, to chop cubes and to send to cabbage. To prepare subfrying. To Propasserovat onions and carrots, to add tomato paste, spices, salt and small chopped parsley. Everything is a little to protushit together and to send to Russian cabbage soup. To take a little broth and to boil in it grain. The most suitable will be pearl-barley, but also millet, rice and even oat flakes will approach. To add the crushed and small chopped garlic to ready porridge. In 15 minutes prior to readiness of Russian cabbage soup to add the boiled grain. 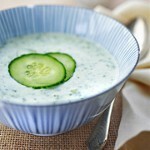 To give with sour cream and fresh greens.